Google's voice search feature has been slowly but surely working its way into more mobile products recently. First the hotword came to the search app, then to the search results. The Moto X launched with always-on listening, and the Nexus 5 now has voice commands from anywhere on the homescreen or in the search app. Now the "OK Google" command is coming to the desktop via a new Google Chrome extension. The extension is explicitly labeled as a beta, but it seems to work well. After installation you just have to allow it access to your microphone and get ready to start talking to your computer like a crazy person. The "OK Google" command will be picked up on the new tab page or on the actual Google search site (results included). 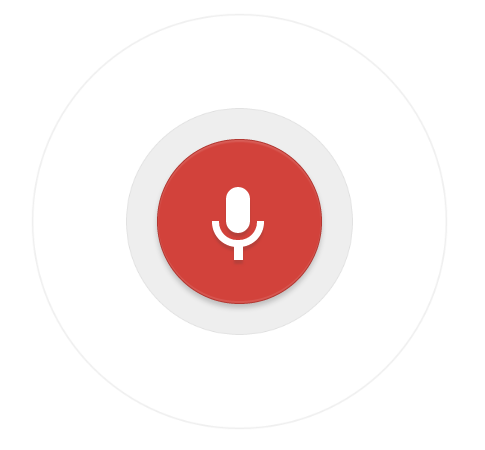 Just like on mobile, the solid microphone icon in the search bar means voice search is ready, and the hollow icon means something has gone wrong. You can use any of the usual Google voice search commands from the Knowledge Graph, but the newer phone features like conversation emails won't work, at least not yet. It does plug into reminders according to the video, but we haven't been able to get that working. Just like a phone, the PC will also read the results back to you if your volume is up. Something else you should also be aware of is that using the voice command with your PC might also trigger it on other devices. The Moto X on my desk seems happy to spring to life, even though it's supposed to listen for "OK Google now." It might be nice to have the listening feature available at all times when Chrome is open, rather than just on search and new tab pages, but this is a big step in the right direction. I've only seen the extension fail to start up voice search a handful of times after a lot of testing, so things look solid on my end.